Automatic Meter Reading (AMR) is the process of reading meters remotely without needing to be physically at the meter. PLC AMR systems use power line communications (PLC) technology to provide comprehensive two-way communications over the existing electricity supply network. This system enables utilities to implement cost-effective AMR solutions. Advanced Meter Infrastructure (AMI) is an increasingly used term in the industry. It refers to a system which is capable of collecting and managing data from smart meters at real time via a two way communications link. The utilities use the data to provide consumers with new and enhanced products in real time and to ensure a seamless service experience. AMI is often used to describe both current-generation AMR systems that have been available on the market for a number of years, as well as new-generation systems providing more advanced architecture and capabilities. "Smart Meters" refers to the meters installed on such AMI systems. AMR/AMI initiatives are beginning in nearly every geographic region around the world as utilities seek to better serve their customer demand while conserving their investment in new generation capability. It is estimated that up to 100 million smart meters will be installed over the next 5 or more years. Each one of these meters is a node that might use Semitech's Narrowband PLC solution. Semitech has developed a complete AMI demonstration system. The Semitech demonstration system is available to Semitech's customer as a tool to develop customized advanced real time monitoring systems. A Power Line Communication (PLC) AMI/AMR is a method where electronic data is transmitted over power lines back to the substation, then relayed to a central computer in the utility's main office. 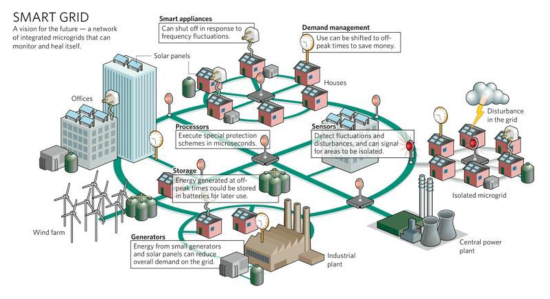 This would be considered a type of fixed network system -- the network being the distribution network which the utility has built and maintains to deliver electric power. Such systems are primarily used for electric meter reading. Some providers have interfaced gas and water meters to feed into a PLC type system. The Power Line AMI/AMR system remotely reads customer meters at real time and then transfers the data into the billing system. AMI/AMR will reduce the need for meter readers to manually gather utility meter readings each month.